People who suffer from chronic back pain may seek relief from spinal surgery. This surgery is often done to relieve problems related to compressed or herniated discs, spinal cord compression or damage from arthritis. During spinal surgery, patients are given general anesthesia. A tube is inserted into their airway to ensure adequate breathing and to prevent damage to the airway. The patient is placed face down so that surgeons can cut through the tissue and muscle around the spine to reach the problem areas. After the muscles are retracted, the patient’s medical problems are addressed. Surgeons might drill away bone spurs, repair disc herniations or relieve compressions of the discs or spinal cord. When the surgery is over, the patient is sewn up and taken to recovery, where he should be monitored closely for any problems relating to the surgery or infection. What Are the Risks of Spinal Surgery? What Constitutes Negligence in Spinal Surgery? The most common types of negligence associated with spinal surgery come from positioning the patient incorrectly, carelessness during the operation, or failure to take an x-ray of the patient before the surgery, leading to an inaccurate diagnosis. Unfortunately, many of these negligent practices lead to irreversible injury to the patient, who may become disabled as a result. When Might You Have A Malpractice Suit? 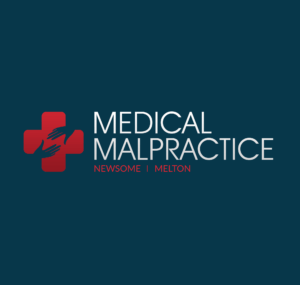 You might have grounds for a malpractice lawsuit if the surgeon or operating staff use their surgical hardware incorrectly or if the surgeon makes careless mistakes during the course of the surgery. Other situations that might give cause for legal action include a failure on the hospital staff’s part to diagnose an infection after the surgery or complications during or after the surgery. In order for there to be a legal case, the damages that the patient suffers must be shown to result from the injury that occurred during the surgery. Most patients affected by spinal degenerative conditions that present the aforementioned symptoms can find relief from their symptoms without needing to undergo surgery. Your nervous system is made of thousands of nerve ending, and if a central part is cut you could lose all feeling in various parts of your body. It is the responsibility of all back surgeons and other healthcare professionals to correctly diagnose the patient prior to performing decompression surgery in order to provide an accurate evaluation of the back condition the patient has and perform the surgery using the methods that are the least invasive. If the surgery is not performed carefully, it is possible for vertebrae or the spinal cord to become injured or the patient’s existing condition may worsen.